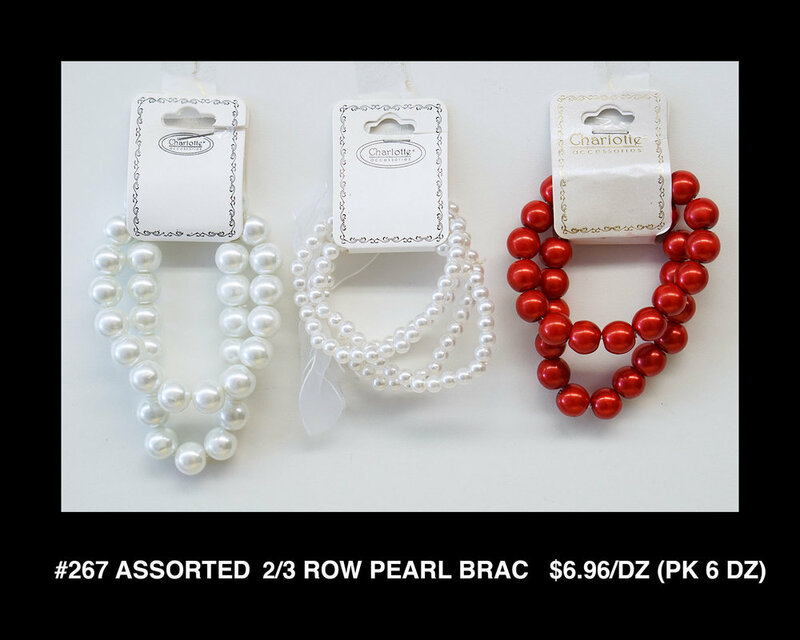 View samples of our fashion jewelry below and on the following pages. 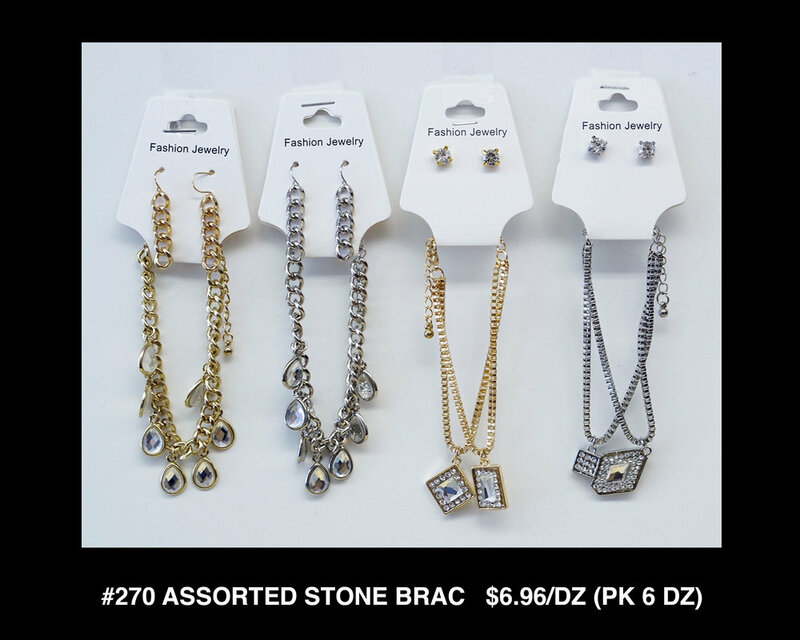 We sell prepackaged, mixed assortments of closeout, brand-name jewelry from mass merchant retailers and specialty shops. Please note: the content of your order may vary due to the availability of merchandise. 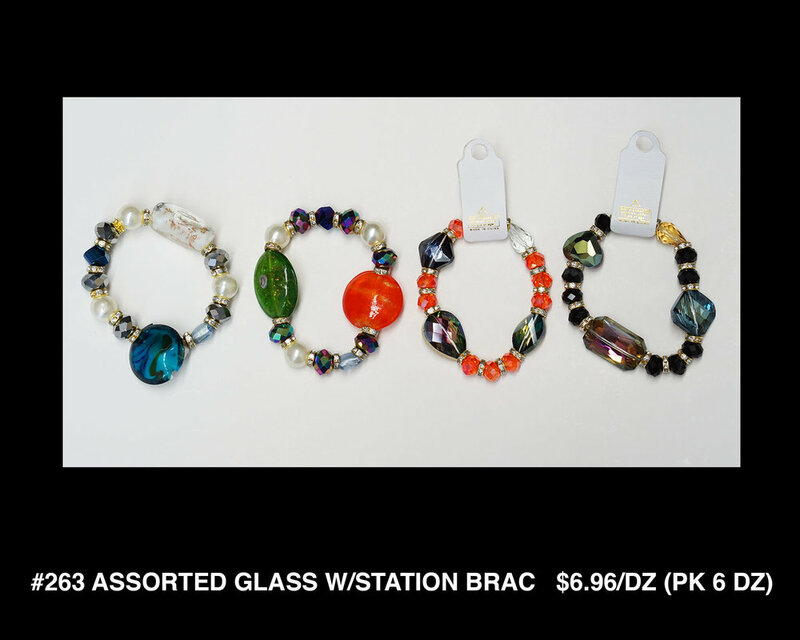 Packed six dozen assorted bracelets of one style.